Dickson’s book is ideal for a small group Bible Study. It is divided into six sections of three chapters each. Zondervan sells a DVD to accompany the book and offers a study guide for six-sessions. This material could covered in two sessions, making for a excellent thirteen-week quarter studying the Jesus and the implications of Jesus’ life and teaching. Alternatively, a small group may want to use one chapter per week and stretch the material over a 20 to 24 week period. The chapters are certainly rich enough to spark good interaction around important topics. The book is easy to read, chapters are brief and illustrated with black and white photographs. A Participant Guide is also available for small groups. Part One offers some orientation to the big questions of historical Jesus studies. The first two chapters are more general, dealing with the question of God and revelation. Chapter three is an evaluation of some evidence for the existence of Jesus, although Dickson does not get really get into the historicity of the Gospels themselves or evaluating the authenticity of individual sayings or stories. His concern is the general historicity of the Gospels, as in chapter four where he acknowledges a certain amount of “faith” in the stories as we have them is required. Part Two claims to focus on the identity of Jesus as a religious leader, but the section never really gets there. The subtitle given on page 49 is “The Identity of Jesus and his Critique of ‘Religion,’” so I expected Jesus to be described against the political and religious background of the Second Temple Period, contrasted with the Pharisees or Herodians, or perhaps the Social banditry movement. But that is not what this section is about at all. Chapter 6 and 7 deal with various views of who the historical Jesus is (military, mystic, etc). These two chapters could have easily been combined. Chapter 8 deals with baptism and temptation of Jesus, but it is hard for me to see the connection to the apparent goal of the section. Part Three deals with the Kingdom of God, “Jesus Vision of the Future and Its Relevance Now.” After a chapter on Jesus as a Teacher (8) and on Jesus as a miracle-worker (9), chapter 10 is something of a theodicy. Dickson asks about God’s present activity in the world – why does he allow evil to persist if some sort of future kingdom is coming in which injustice will be answered and judged? This is a good chapter, but to me it does not live up to the promise of the section’s title. I understand that Jesus’ teaching centers on the Kingdom of God as present and that his miracles are a taste of the coming kingdom, but this is not really brought to bear on the problem of evil in chapter 10. Like the previous section, I was left wanting more. Part Four addresses Jesus and the Religion. Again, the sub-title (Jesus’ Thoughts on ‘Religious Hypocrites’ and ‘Rotten Sinners’”) gives the impression of a contrast between Jesus and the Pharisees, but that is not the content of these chapters. In chapter 11 Dickson deals with the contrast between the common view that Jesus taught love and the several “hellfire and brimstone” sermons in the gospels. He then turns to Jesus and the sinner. In this all-too-brief chapter he describes the social stigma of the tax-collector and the point of Jesus’ table fellowship. In chapter 12 Dickson reads the parable of the Prodigal as a condemnation of the Pharisee, but he quickly moves from this to a discussion of contemporary questions about God and justice. Part Five concerns the death of Jesus. This is by far the best section of the book. He begins with a brief overview of crucifixion in the Roman and Jewish world (chapter 14) and then offers a nice synopsis the reasons for Jesus’ crucifixion (chapter 15) and then Jesus’ own view of why he had to die (chapter 16). He emphasizes the meaning of Passover and how Jesus’ death was foreshadowed in the Exodus events. Part Six is deals with the resurrection and the application of Jesus’ resurrection to the atonement. Chapter 17 contains several of the typical arguments for a historical resurrection (the empty tomb and eye-witnesses). Chapter 18 and 19 are perhaps the main point of the book – why does the death and resurrection of Jesus matter? First, it is the basis of forgiveness of sin. In the atonement, humans can be right with God. Second, the Jesus is the basis of living a new life of forgiveness. Dickson has an apologetic agenda throughout the book. He begins by engaging Richard Dawkins and other Atheists on the validity of Christianity and ends with a plea for small steps toward becoming like Jesus. he frequently cites a critic of the Christian faith and gives an answer to their objections. This book is not really a “life of Jesus” at all, but a primer for new Christians who have some understanding of current discussions of faith (The God Delusion, etc.) My criticisms of the book above may be aimed at an editor rather than Dickson as an author since the arrangement of the chapters and descriptions of the contents are often unrelated. These oddities should not distract from the overall apologetic value of Dickson’s book. 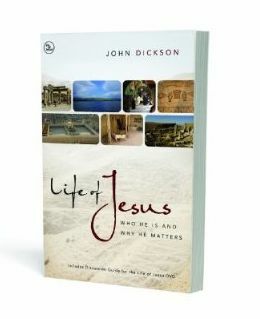 Overall, I can recommend Dickson’s Life of Jesus for a small group or Bible Study, although that group needs to be motivated to read and think deeply about difficult topics. I should have included this site in my round of Free Books for the iPad, but for some reason it slipped from the final draft of that blog. I have been a user of Biblical Studies.org.uk for many years. The site collects an excellent collection of material in PDF format, including a large collection of out-of-print journals. Biblical Studies.org is really a network of several sites which seek to provide bibliographies and collections of articles. There are some remarkable items in the journal collection, including the Bulletin for Biblical Research. Articles from 1991 through 2005 are available in PDF format. Another excellent collection is the Tyndale Press Monographs Series. Most of these are short reprints of Tyndale House Lectures. The site also hosts the articles in Carl Henry’s Revelation and the Bible, many of which are classics. The collection continues to grow. For example, the Baptist Quarterly, 1922-1939 was added to the collection last week. While this may seem like a fairly narrow interest Journal, there are some excellent articles on early Baptist history. I highly recommend Biblical Studies.org.uk. An afternoon spent exploring the site will provide a wealth of reading material. Copy the PDF files to your iPad for easy reading! 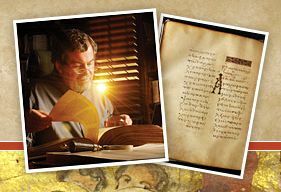 Jim West tweeted a notice about these videos from Dan Wallace’s Center for the Study of New Testament Manuscript project. I happened to notice that the Center is listed in the iTunesU opening screen this week, hopefully this will generate some interest in the work CSNTM is doing. I watched the short video (5:45) on the “Discovery of p52″ in the “Famous Manuscripts” collection. The file is 202MB so plan on taking a few minutes to download the longer videos. There is no streaming option, but I prefer to have the fine on my computer or iPad anyway. The production is very good, alternating between Wallace’s explanation and power-point like screens. I am a bit annoyed by the piano music in the background, but otherwise this is a very informative video for both laymen and scholar. I plan on using some of these videos in by Greek classes. 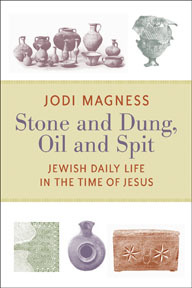 Jo di Magness, Stone and Dung, Oil and Spit: Jewish Daily Life in the Time of Jesus. Grand Rapids, Mich.: Eerdmans, 2011. xv., 335 p., 24 p. B&W illustrations, pb. $25. Amazon Link. Stone and Dung, Oil and Spit: Jewish Daily Life in the Time of Jesus is an excellent book and well worth reading. However, it lives up to its own subtitle. I am not sure any book can live up to that particular goal simply because the sources for common, daily life of the first century are so limited. This is a problem with haunts every attempt to describe the way people lived in ancient times: normal people did not leave much behind to study. The poor did not journal their daily lives, nor did they leave behind a great deal for archaeologists to study. Nevertheless, Magness proceeds through several categories of daily life and describes them via literary and archaeological data. Each chapter begins with a few citations from the Hebrew Bible, Josephus, the Dead Sea Scrolls, or a rabbinic literature. Then she turns to the archaeological record, usually showing that the literary descriptions are more or less accurate. Each chapter attempts to tie the practice to an episode in the life of Jesus. Topics include purity and the practice of ritual washing (mikveh), food, household items, dining customs, Sabbath observance, coins, clothing, oil and spit, toilet habits, and burial customs. An underlying theme throughout every chapter is a concern for purity. The chapters on food and household items, for example, have a great deal of material on avoidance of uncleanliness. Magness’ method can be illustrated by her description of the tzizit (fringes on the edge of one’s cloak) she begins with the Hebrew Bible, then moves through the Dead Sea Scrolls, the Mishnah, the Talmud, and an early Christian writer (Justin). She then describes an episode in the gospels which describes Jesus a wearing a fringe or tassel (Matt 9:20-21 and par.) There is scant archaeological evidence for the practice in the first century, but it is possible that an unfinished tzizit was discovered in the Cave of Letters (112). Literary sources help to illuminate archaeology, archaeology helps illuminate the literary sources. This method is repeated for every topic covered in the book. Magness is an archaeologist, so it is no surprise that her material on physical data is extremely rich. Unfortunately, there are only a few sites to illustrate many of the practices covered in the book. Magness is an expert in Qumran archaeology (see her Archaeology of Qumran and the Dead Sea Scrolls), so it is natural that her illustrations should be drawn from this important site. The second site which Magness uses is the so-called Burnt House in Jerusalem. This is an important archaeological site since it is an aristocratic (priestly?) home near the Temple which was burned in A.D. 70. There is a wealth of household objects which illustrate a number of practices described in this book. While Magness does refer to other sites, I wonder if the practices at Qumran and the home of an elite member of the aristocracy really illustrate“daily life” at the time of Jesus. Sadly, there is just not that much available to illustrate how a poor Jewish villager in the Galilee lived, and that is the “daily life” most Christians are going to want to illustrate. What is remarkable about Stone and Dung is the wealth of literary sources compiled for each topic. Every chapter is a treasure trove of texts drawn together around a topic. Selections for the Talmud seem to be drawn from “early” authorities, although dating a saying in the Talmud is always a problem. Nevertheless, her selections are judicious and placed along side other first century voices which mitigate any serious dating problems. I particularly like her use of the New Testament as a serious source. She is not interested in showing that the New Testament is wrong about descriptions of daily life. In fact, most often the New Testament describes Jesus as a “typical Jew” and living within the traditions of the Second Temple Period. In addition to these primary resources, Magness provides detailed documentation in her endnotes. In fact, the text of the book ends on page 186, the notes run from 187-270 and the bibliography from 271-305! The fact that they are endnotes frustrates me, but the style makes the main text much more accessible for the non-professional. I appreciate several detailed indices. There are 24 pages of black and white illustrations including photographs of archaeological items and pottery figures. Some of these look like they are repeated from her book on the archaeology of Qumran, but they are quite helpful in illustrating the material evidence. This book is important because most people because people have so many preconceived notions about how “it was back in Bible times.” Most of these mental images are based on Sunday School lessons or bad Hollywood productions. The value of a book like this is to set the stories of the Gospels into their proper context. Without that cultural context, we miss the real depth of the story. I recommend Stone and Spit, Oil and Dung to anyone interested in the culture of the times of Jesus. The mind of the blessed person is on the Law of the Lord (Psalm 1:2). The Torah is the focus of the righteous person’s attention. The noun torah (תּוֹרָה) is repeated twice and it is plural in both cases. This may indicate that the writer has in mind more than just the five books of the Law, or simply the covenant found in Deuteronomy. But the word basically means “instruction” and is used for the Law or the whole Hebrew Bible. Psalm 19 and 119 both use torah to describe the God’s revelation of himself. When God reveals himself, we must respond in some way (respect and obedience, or sinful scoffing). First, the blessed person delights in the Law of the Lord. The verb “delight” (חֵפֶץ) refers to a strong desire. Sometimes it is used to describe “precious stones” because they are the type of thing people pursue, they are of extreme value. For example, the Lord does not delight in sacrifice, but in obedience (1 Sam 15:22), in Prov 2:15, 8:11 wisdom is described as more precious that jewels, nothing which can be desired is better than her. I find this delight missing in contemporary culture. People do not usually get excited about a sermon, even one based on Scripture. It seems to be the price we pay to have a “worship experience.” People do not really “delight in the Word of the Lord,” but seem to tolerate it, or read it as a duty. Second, the blessed person meditates on the Law of the Lord. The verb translated “meditate” (הגה) comes from a root which means to “growl” or “to mutter.” In this context, it means to read the Law in a low voice while meditating. I will admit that meditating is something I have never fully understood, primarily because of the way it comes across in the media – a swami meditating and chanting a mantra, etc. It seems somewhat mindless to me, the goal is emptying the mind of rational thought. I am not really interested in that, and I am not sure that is what this text indicates since this word describes an audible, verbal action. The point of “muttering” the Law of the Lord is reading it out loud, perhaps in a low, respectful voice, but nevertheless out loud. We hear things when we read aloud that we do not hear when we read silently. This is therefore not a mindless chanting of the Scripture, it is a pronouncement of what the Scripture says! Psalm 35:28 and 37:30 both use this same word to describe a worshiper verbalizing the righteousness of the Lord as a part of worship. I would suggest that this activity is rational, the purpose is to read and hear the scripture, to immerse oneself in Scripture, so that it becomes the way a person thinks. Everyone knows that the Scripture says “Do no steal.” If you are in a store and do not have enough money to pay for something, you probably do not wonder whether it is God’s will to steal. You know this because you have absorbed that concept from the Bible. The more you absorb, the more your thinking changes so that you may not even notice that you are applying Scripture constantly. These activities are constant: day and night. This does not mean a ten minute devotion with breakfast and another ten minutes before bed (although that is a good start!) The blessed person is so immersed in Scripture that it is in his thoughts all of the time. Top iPad Apps for Bible Study (Part Five) – Free Books! In the last two parts of this series I said that to use Logos, Accordance, or Olive Tree to their full potential, you have to spend some money to buy quality books. For some people that is enough to turn the off of these Apps. I have students tell me how impoverished they are and that they could not possibly buy a Logos collection or an Accordance bundle (usually while texting someone on their iPhone). Maybe you are just out for a bargain (I haunt used book stores hoping to find a treasure in the stacks!) Perhaps you are like me and cannot resist the lure of an old book but get frustrated with the high prices on “collectible” books. For these reasons I will finish out this series on using the iPad for biblical studies with a look at free books. Free books are often worth what you pay for them, but there are some real gems available for free. Many of these books cannot be purchased or are very expensive. Most libraries do not see the value in shelving 125 year old journals, so the only chance to see some of these books is via Google or some similar source. For example, I have enjoyed reading early numbers in the Palestine Exploration Society’s Quarterly Report. These descriptions of the state of archaeology in Palestine and Jerusalem in the late nineteenth century are fascinating! Google Books. Google Books is a free App which is a front-end for the Google Books Store. There are commercial books in the Good Book Store, but it is worth poking around for the out-of-print free books. Unfortunately the tagging of free books is terrible. For example, search on “Jesus and the Gospels,” change the price to “free” and several hundred titles will appear. Some of these make sense (Jesus and the Gospels by James Denney, Hodder and Stoughton, 1908), but Bibliotheca Sacra 30 (1873) and Calvin’s Institutes also appear in the list. Still, there are some classics available for free: David Strauss’s A New Life Of Jesus (1865) is there as is Ernst Renan’s The Life of Jesus (1866), Plummer’s Commentary on John (1896), and Godet’s Commentary on Luke (1881). I happened to choose Jesus and the Gospels, any topic will yield hundreds of books. It might be better to search on an author’s name. For example, Albert Schweitzer yields several pages of books, but by clicking on the name reduces the list to 18 items, including both English and German versions of The Quest. You can read these books with the free Google Books app. I have had no problem reading, although there is no way to search the older books since they are page-scans. There is no note-taking feature, but I can switch to a notebook program fairly quickly. I would like the option to leave books “in the cloud” since I tend to binge on free old books and fill up my iPad quickly. You can shop the Google Book Store on your desktop computer, whatever you “purchase” will appear in the Google Books App. Kindle. If you have an iPad, you need to get the free Kindle App. The Kindle Store is a part of Amazon, so if you can find books on Amazon, you can find them at the Kindle store. There are some deals to be had in the Kindle store, but not as many free books as Google. For example, The Quest for the Historical Jesus is free at Google, but at the Kindle store only modern reprints are available. Ernst Renen’s Life of Jesus is a free download, but neither the Plummer or Godet commentary found on Google books appears in the Kindle Store. More often than not, older books appear in the Kindle store at a small price. I noticed Alfred Edersheim’s Life and Times of Jesus the Messiah for 99 cents. Most of Edersheim’s works are on Kindle for the same price, yet they also appear on the Internet Archive in Kindle format for free. Most (if not all) of Edersheim’s books are in the Google Bookstore for free. There are several “publishers” who appear to be converting public domain PDF files into Kindle books and selling them very cheap on Amazon. A few are described as “enhanced” since a table of contents has been added to aid navigation, but otherwise the text is identical. Given the phone-book size of Edersheim’s books, it might be worth a few dollars to have the index. Internet Archive. I almost put this resource first since it is perhaps the largest collection of free texts on the Internet. Most texts are available in PDF and Kindle format as well as several other e-reader formats. I recommend you use DropBox, copy the PDF files there and then read them in CloudReader (Free, App Store) or Good Reader ($4.99, App Store). There are some real gems on the Internet Archive. For example, Mark Goodacre’s The Synoptic Problem is a first rate book, published in 2001 and recent released to the Internet Archive for free download in PDF or Kindle format. (You should go and download this book regardless of the platform you use to read it!) Notice that there is a topic link for synoptic problem and Q hypothesis. Click the “synoptic problem” to find 10 other books, including Ernest DeWitt Burton’s Some Principles of Literary Criticism (1903). Search for the Journal of Biblical Literature, quite a few of the earliest numbers are available. The Internet Archive is not a reader, you will need to know how to move the files to a place where your iPad can read them, and then have the right app to read the file. Occasionally a PDF will not display on my iPad because of the way it was created. If it loads on your desktop, you need to re-save it with Acrobat and make sure the JPEG 2000 option is not selected. Another drawback is sheer wealth of material. Some items are scanned well, others are shoddy. Since the Internet Archive is an open-source and supports the creative commons, there are some oddities. I have found that occasionally books are linked to the Google Store, but this is not really a problem. The bottom line is that you can fill your iPod (Android, Kindle) with hundreds of books, many of which are classics of scholarship albeit from a previous dispensation. I have found many books which I have never read simply because I could not find an affordable copy – that can no longer be an excuse! Since it is a great deal of fun poking around and finding rare books in these collections, I think that I will add a semi-regular feature on this blog highlighting the best “finds” in the online archives. The best iPad app for Geek and Hebrew is Logos, but with great power comes a significant price tag. They same is true for Accordance and Olive Tree’s Bible Reader. While the Apps are free, you need to buy a Greek and Hebrew Bible which is tagged with syntactical information and good a set of lexicons to really make any use of the App beyond the basics (I lamented this in a previous post). If you buy a Logos Base package (either Language or Scholar) you will have the best tools for reading Greek and Hebrew on both your desktop computer or your iPad. Similar bundles are available from Accordance and Olive Tree. These bundles are expensive, but as Logos constantly points out, they are far cheaper than the actual books and are obviously more portable. As I said in my previous post, if you want to use a computer based study system to its full potential, you have to invest more than a few dollars. Logos has the best tools at this point, but they are far from perfect. Open a morphologically tagged Greek or Hebrew Bible and select a word. A menu will appear to search, copy, or look-up. “Search” will find that word in any book you own, but it searches for that form of the word, not the lexical form. This means that you are not creating a concordance list, but a list of appearances of an inflected form. I am not sure this is useful, especially since the search finds the form in any interlinear Bibles in the Logos library, rather than just the Greek Bible. When you “look up” a word, the floating box expands a bit and the Lexical form appears with a gloss along with full parsing information. This is similar to Accordance and Olive Tree,although the data is drawn from the DBL rather than Strong. From this menu, you can select to a Word Study on the lexical form, a feature which goes well beyond Accordance and Olive Tree at this point. The Word Study option is more fruitful, but is lags far behind the desktop version. This option launches the Logos Word Study Tool. In the desktop version of Logos this is a very powerful tool which creates a page with links to lexicons and a complete list of occurrences of a word in the Greek or Hebrew Bibles, including all Greek resources you might own (in my case, LXX, Philo, Josephus, Apostolic Fathers, Pseudepigrapha, and the Iliad). There is a section with “example uses,” just a few texts listed illustrating how the word is used in the New Testament. There is another section listing the word in various grammatical relationships (with a subject, object, adverb, preposition, etc). A very valuable feature is a chart showing the words a Greek word translates in the LXX. When a Hebrew is selected in this chart, a list appears with examples from the LXX illustrating the relationship. On the iPad, the page is limited to two lexicons (Dictionary of Biblical Languages and BDAG if you own them) and only example uses of the word. The Word Study page does include the usage chart, but without the complete list of occurrences in the Bible the value of the chart is limited. What is disappointing to me is that I cannot get a list of all of the occurrences of a word in the New Testament. This makes a real word study almost impossible since I do not have a complete concordance of a given word. It would be ideal to have a list of all the occurrences of a word with links so that I can work my way through the list reading each text to see how the word is used. Since the appearance of computer Bibles, I really do not use concordances anymore (In fact, I have either sold them all or given them away!) However, Logos on the iPad does not provide me with a concordance. I want to search a lexical form in the current Greek Bible, create list of all occurrences like a concordance. I really do not need the spiffy chart, but I do need a complete list of texts! I want to be able to have links to more than two resources. I own BDAG, but also Louw and Nida, Liddell and Scott, LEH, and a few others. It should be easy enough to add those to the list. If I own TDNT or other Greek resource, I want a link to the TDNT article on that word. I want to be able to change the search range. Just like the desktop Logos, I want to limit my search to just the Gospels or Paul, or even a single book. I would like to switch from the NA27 to the LXX easily (or to Philo, Josephus, etc.) After I scan through a list of texts from the NT, I often run the word in the LXX as well. I would like to see the morphological search engine included in the iPad app, although that might be too much for the platform to handle. I realize this is a manifesto-like list, but until some of these things are addressed in an iPad Bible App, these programs are little more than Greek Bibles with a glossary. For me, Logos is the best tool for studying Greek, but at this point it does not go much beyond reading Greek. I cannot yet do a full word study on the iPad.